Imagine we’re in the gods’ boardroom. It’s a typical boardroom in an old established family firm, with cedar panelling and portraits of the founders hanging on the wall. 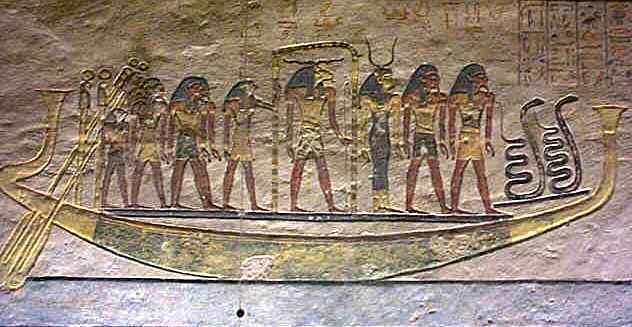 We’d better imagine it’s on a yacht, as the Egyptian gods did not have an office but a boat, on which they sailed through the heavens. The yacht does make the family sound more like a lot of Russian oligarchs, but you can’t have everything. Anyway, we’re strolling down the gallery of portraits and we stop at the portrait of the founder of the dynasty and chairman of the board: the god Atum. And here he is. A fine figure of a god. I’m sure you’ll agree: a king among gods, in fact, and dressed as an Egyptian king to make his status clear. 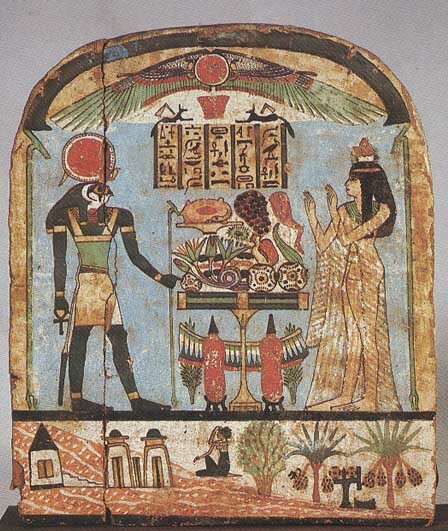 You might be prepared for the revelation that the portrait is a little flattering; Atum was a very old god, associated with the setting sun, and the Egyptians sometimes depicted him as a stooped old man. You wouldn’t think, though, would you, that underneath that kingly exterior, he was a real snake? 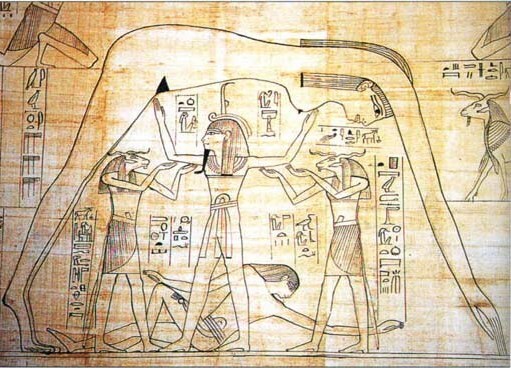 Atum was so old he existed before the world began. Back in the primeval ocean, Atum floated as a gigantic snake, his tail in his mouth, with no beginning, no ending, eternal. But he knew he had it in him to be so much more than that. So he emerged from the primeval ocean (which was called Nun), standing on the very first mound of dry land – the original self-made man. Atum separated land from water and basically had to organise everything himself from then on. For a long time, he was the organisation. And he laid good foundations. During his tenure, he cooled down the air and dried out the land, and those who came after can thank him for that. In those days, Atum was king of all he surveyed. But it’s lonely at the top. Atum had no goddess to share his exclusive waterfront development. What is a bachelor god to do? Atum did the only thing he could, and took himself in hand. His act of procreation produced twins, a boy and a girl, called Shu and Tefnut. We’ll meet them later. So in the early years, Atum was a single Dad, bringing up a family on his own as well as founding a planet. You’ve got to admire him. And no, he was not the least bit ashamed of the hand thing. Atum scorned cover-ups. 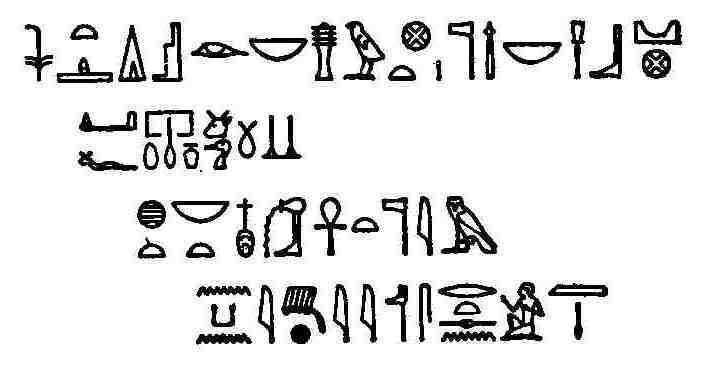 In fact, he was proud of his hand, and so were the Egyptians. They put together a whole PR strategy for Atum and his hand. 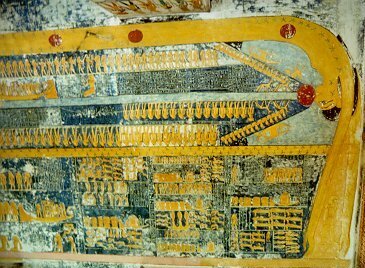 They painted it on coffins, and some priestesses at Thebes took the title “God’s Hand” to show how indispensible they were to the god. So much better when you don’t have to deny anything because everyone knows anyway and thinks it’s great. He was a smart god, Atum. As you would expect of a founder, Atum was very protective of his dynasty. 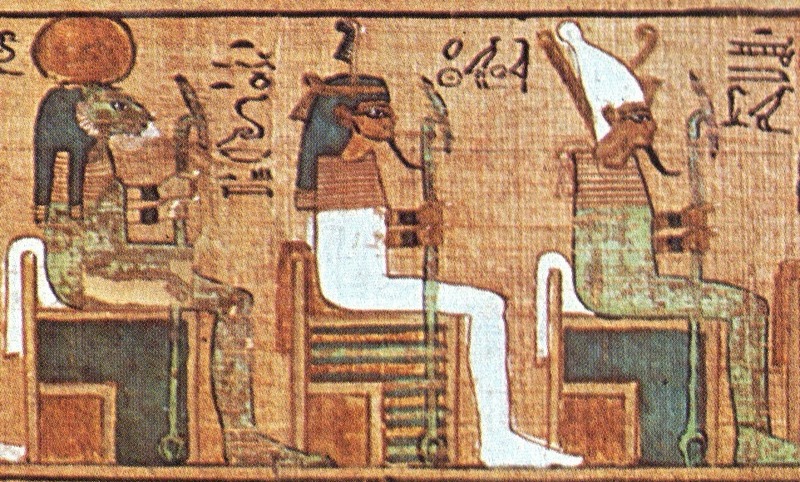 Eventually, it would extend through several generations of gods to the Egyptian King, whom he regarded as his particular protegé. (Kingship was all about organisation to the Egyptians.) He even had him dress the same. When Isis was looking for somewhere safe to give birth to Horus, Atum found her just the spot and made it inaccessible to their arch enemy Seth. 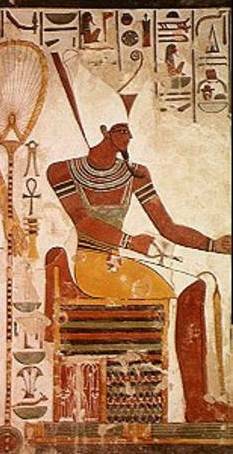 When the King died, Atum would lift him up out of the pyramid and transform him into a star god. Every night, Atum would sail through the Underworld, executing the King’s enemies and fighting another gigantic serpent called Apophis. Apophis was a rival concern, hell bent on swallowing up the whole ship of the gods in the world’s most hostile takeover bid. We’ll come back to him another time. 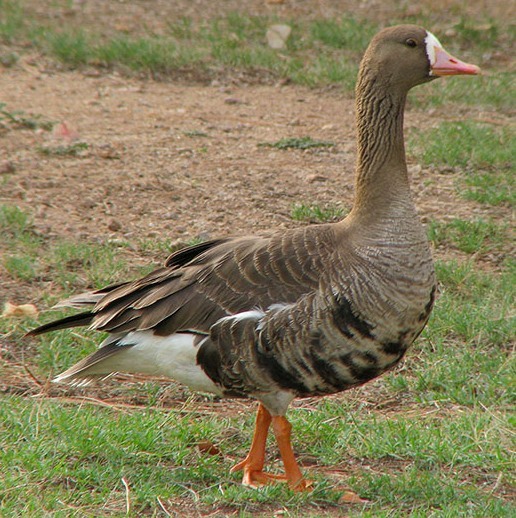 It takes a snake to know a snake, and Atum knew what it took to kill one; a mongoose. So Atum would transform himself into a mongoose to defeat Apophis. You see- he was adaptable. He refused to be limited by his origins. 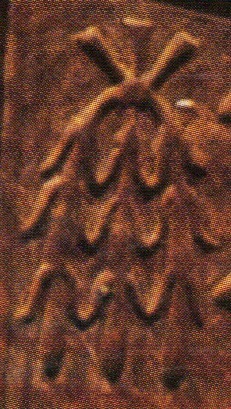 Lizards, bulls and lions were also sacred to Atum. He was associated with the scarab, because the scarab beetle emerging from its ball of dung reminded the Egyptians of Atum emerging on the primeval mound. (Atum was obviously good at digging himself out of the brown stuff. ) 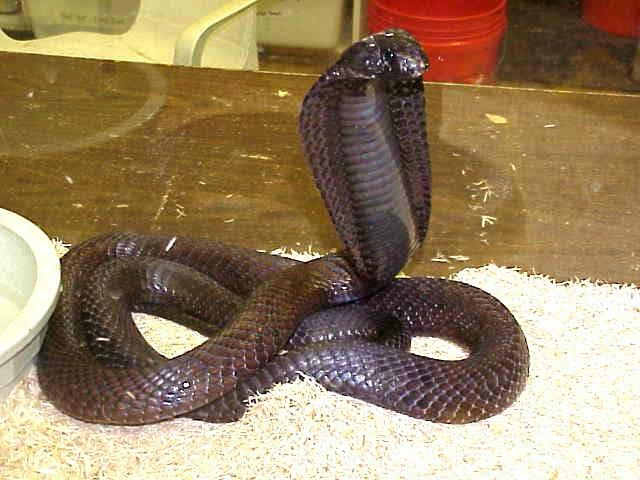 But everyone expects that, when the crash comes and the whole world falls back into the primeval ocean, Nun, Atum will revert to being the snake he originally was. I don’t know whether you can see it in this portrait, but there was one characteristic that always betrayed Atum’s serpentine origins; his green eyes. He had quite a party trick he could do with one of his eyes; he could make it cry worms. Now we’ve admired Atum’s portrait, we’ll take a closer look at his name and titles. If you think you recognise any of your colleagues from this account of Atum, you’ll want to be able to invoke him for their personalised offering formula. But that’s for another post.